#Finally the #first_day of #shooting JaeJoong’s #new #drama ‘Man Hole’! Can’t you almost #hear ‘Bong Pil’ #coming nearby? So #excited!! On June 7, C-Jes Entertainment uploaded a photo of JYJ’s Kim Jaejoong from the set of his new drama to their official Instagram account. The artist will be starring in KBS 2TV’s upcoming time-slip comedy drama called “Manhole” and will be taking on the role of main character Bong Pil. In the uploaded photo, Kim Jaejoong has a new, messy hairstyle that suits his character, who is his neighborhood’s token unemployed person. 드디어 오늘 첫촬영! #봉필 오는 소리가 들린다 들려🎶 #김재중 #재중 #KIMJAEJOONG #첫촬영_이라니 #8월_언제오세요 #아침부터 #미모열일중 #훈훈한 #사진 #산뜻한 #금요일 #맨홀 #드라마 #스타트 #KBS #7일의왕비 #후속 #씨제스타그램 #Finally the #first_day of #shooting JaeJoong's #new #drama 'Man Hole'! Can't you almost #hear 'Bong Pil' #coming nearby? So #excited!! Kim Jaejoong will be pushing aside his handsome charms to have an almost maniac, crazy presence as Bong Pil on set. In the drama, Bong Pil will go accidentally go back in time by falling into a manhole and then attempt to stop a marriage from happening in the present. Meanwhile, KBS 2TV released stills of the cast, which includes Kim Jaejoong, UEE, B1A4’s Baro, and Jung Hye Sung, from the first script reading for “Manhole,” which took place on June 29. “Manhole” will air on August 9 after “Queen for 7 Days” ends its run. Oh….. the messy hairstyle is back. He used to have that style once. 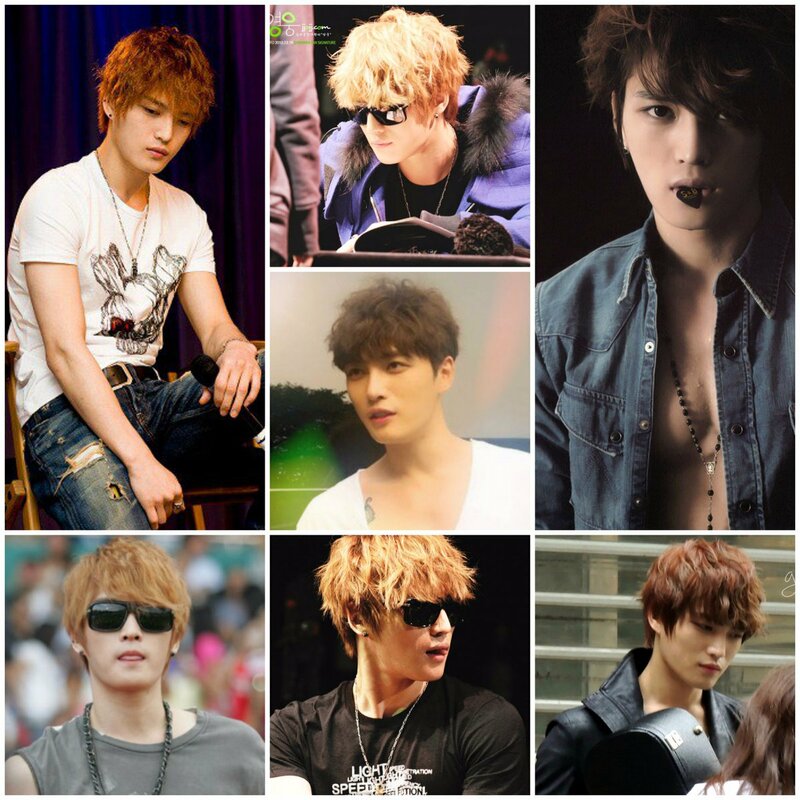 No matter whatever hairstyle he has, he is still our handsome prince. Kim Jaejoong, Fighting!!!!! just a simple white-T and yet so attractive! yeah~ that’s JaeJoong!